By no means I am writing this blog as an omniscient narrator, I myself am very new at this teaching business although I had no qualms about my teaching capabilities when last (academic) year I joined my current college as an English teacher, my name was not on the Duty chart yet, instead “New English Teacher” was printed and that sight gave me an inwardly chuckle and some enthusiasm that I should do something New in this teaching business, even though I was not so naïve as to believe that I would bring a proverbial revolution in the field because I was aware of the dismal condition of the language teaching scenario in our society. Hence the purpose of this humble effort is to get some insight from the experienced veterans of the field, and perhaps this may become a forum for the new and the naïve inexperienced teachers like me. 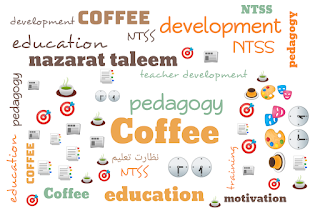 Blog for Teacher Development Program Last year when Mr. Waqar Ahmad Ahmedi visited Rabwah and held a 3-day seminar for teachers in Nazarat Taleem Rabwah. 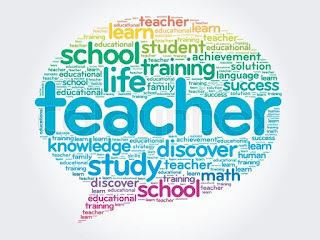 We decided to create a platform for the teachers to interact in a professional way and collaborate their experiences and methods in teaching which they have found useful and effective and to create a space where we can share our ideas to make the learning experience of our students more fruitful.